Word Scramble - Enjoy & sharpen your vocabulary, puzzle, and spelling skills playing anytime and anywhere. 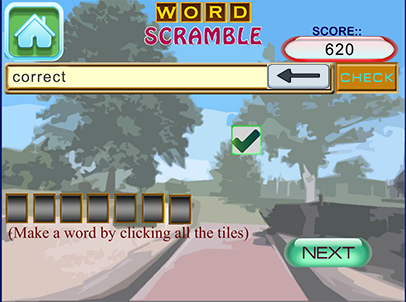 Word Scramble is the most relaxing and simplest way to hone your vocabulary and spelling skills. Want to challenge your brain and your vocabulary? Try Word Scramble! Have fun brainstorming as many words as possible! 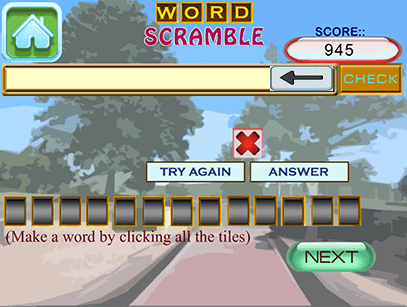 Word Scramble is a challenging word puzzle game that puts your word skills to the test. This modern word game combines the best of word making for tremendous brain challenging fun! The object of the game is to form words from a given set of letters. There are two different game modes. 1. CLASSIC MODE:: It is a word puzzle game where you are given a scrambled word and you must re-arrange the letters back into spelling the original word. Number of letters can be chosen to make it perfect for both beginners and those who are looking for a serious challenge! 2. 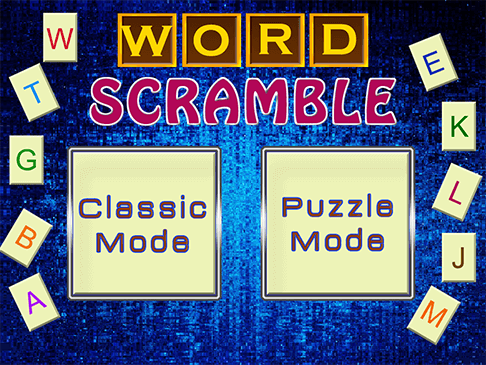 PUZZLE MODE:: In this game mode you must find all possible words that can be formed from given set of scrambled letter tiles. This mode is for the perfectionist. The more letters you use to make words higher your score. Solve over thousands of uniquely themed puzzles by unscrambling words from an English dictionary of over thousands of commonly used English words. Try this most addicting word puzzle game! 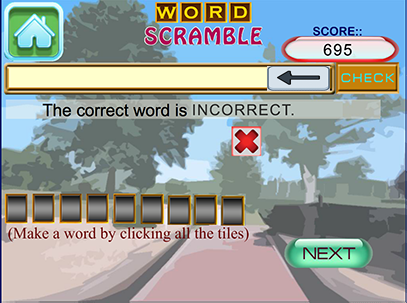 Stay sharp and train your brain – this word scramble can start easy and become challenging! Word Scramble is a perfect fit for fans of popular word games. 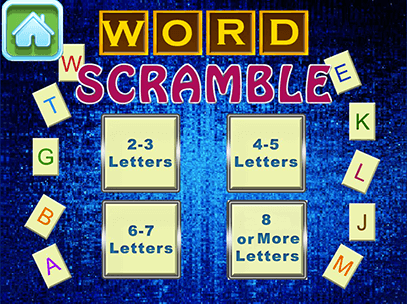 With over thousands of puzzles to play, Word Scramble is the best word game for people looking for brain challenging jumbled word games or stimulating word finder games. Word Scramble is a very fun and exciting word puzzle game, it makes you keep playing for hours. Get ready to exercise your word brain, expand your Vocabulary and Improve your Concentration Skills. NO WIFI? NO PROBLEM!- You can play offline anytime. • Unlimited puzzles using thousands of words. • Simple and addictive word puzzle game. • Two great game modes. Classic & Puzzle. • Enjoy & sharpen your skills playing anytime and anywhere. • A fun mental exercise to keep your brain sharp! • Educational game for all ages. 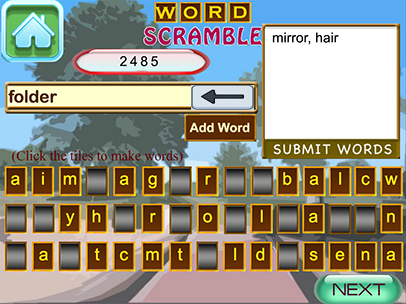 Feature Word Scramble is the most relaxing and simplest way to hone your vocabulary and spelling skills. Want to challenge your brain and your vocabulary? Try Word Scramble! Have fun brainstorming as many words as possible! • After receiving your order confirmation email, you can login to your account at DigiGalaxy.net to download software. • The software will be stored in Your Software Library, so you can always download it again later. • PREMIUM SUPPORT GUARANTEE:: Chances are you’ll never need to talk to us. However, if you do need a helping hand, world-class support team is available at DigiGalaxy.net site store. So you’re guaranteed to have your questions answered. • FREE UPDATES GUARANTEE:: This might be hard to believe, but buying this software not only gets you the latest version, but all future updates for FREE. We believe you should have the functionality you paid for, bug-free and updated, for as long as software evolves. For returns or refund please email support@DigiGalaxy.net within 30 days of delivery. This applies to purchases at DigiGalaxy.net site store only. • CD Delivery - Return the software CD & get refund.